Does Toyota Make an Electric Car? Well, according to Gerald Killmann, Toyota’s vice president of research and development for Europe, Toyota is able to make batteries for either 1,500,000 hybrid vehicles, or 28,000 All-Electric Vehicles (EVs). In addition, 1.5 million hybrid vehicles reduces carbon emissions by a third more than 28,000 EVs. Toyota being a very environmentally-conscious company, has stayed the course with Hybrid vehicles in order to make the largest positive impact it can. While Toyota did manufacture an all-electric RAV4 for a number of years, and they certainly have the ability to do so again today, the fact is a much greater impact can be made by Hybrid-ifying the existing line-up. One other question that arises regards Toyota’s continued use of the Nickel Metal Hydride batteries. Their explanation and rationale revolves around the now legendary longevity of this battery system, as well as their not needing the extra cooling system of the Lithium-Ion configuration. Toyota uses both, relying on an economical evaluation to decide in which vehicle each is best suited. Toyota may once again come out with an all electric car, however we don’t think you should hold your breath for it to show up any time soon. 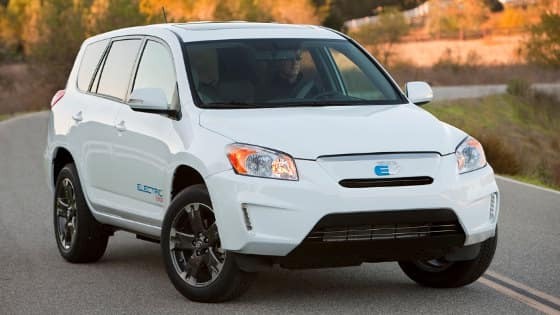 0 comment(s) so far on Does Toyota Make an Electric Car?